There are so many benefits of installing new windows in your Plymouth Michigan home. New windows can give you better energy efficiency of your home and also make your home safer. 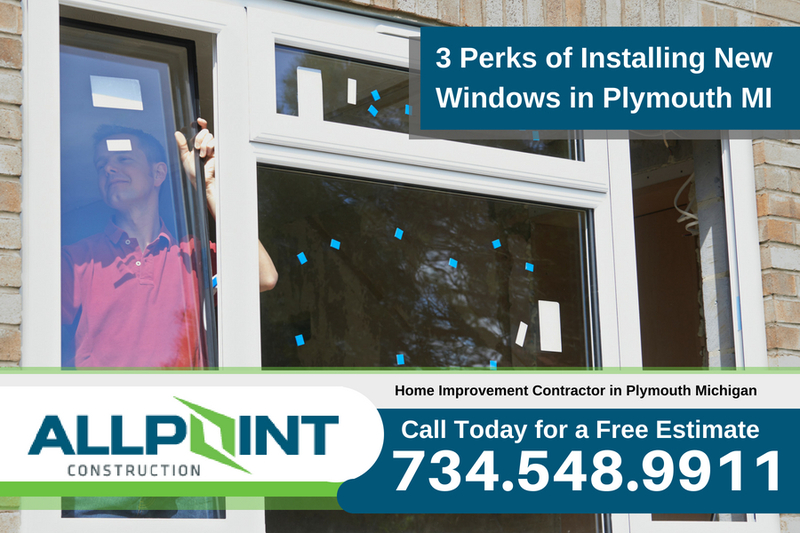 But, there are three lesser known perks of installing new windows. Are you considering replacing the windows in your home? Be sure to check out these perks that you may not be aware of. When it’s time to replace the windows in your home there are many options that will be available to you. From older style wooden windows to newer, more energy efficient vinyl windows, getting the look and protection for your home can be had easily with today’s window options. Below are three perks that most of the windows have but you’ll want to speak with a qualified window contractor in Plymouth Michigan to ensure the windows you are considering meets your expectations..
As your windows age, they require more maintenance. This often includes cleaning, repainting, resealing, and even repairing. Having high maintenance windows can be expensive and time consuming. Luckily, with new windows, you often don’t have to worry about maintenance. Of course, the amount of maintenance your windows require it ultimately dependent upon the kind of material that’s used. 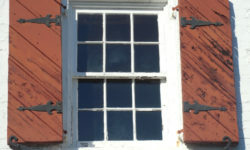 Older windows are often made with aluminum or wood. Although aluminum is extremely strong and long lasting, which is great in areas that experience a ton of inclement weather, it regularly experiences cosmetic and insulation damages. Therefore, you have to worry about constantly maintaining the appearance and functionality of your windows. Luckily, modern new windows are often made of vinyl. Not only is vinyl one of the most affordable window materials currently on the market, but it requires little to no maintenance. In other words, you won’t have to worry about constantly repainting or repairing your new windows, even as they age. Instead, you will simply have to clean and service your windows only a few times a year. Another thing homeowners often experience with old windows is a lack of energy efficiency. In other words, their windows aren’t resilient enough to block air, sound, and possibly even weather, debris, or other outdoor elements from their home. One of the key signs that your windows aren’t energy efficient is a sudden increase in energy bills, which in turn is due to suddenly cranking up the heat or blasting the air conditioner. 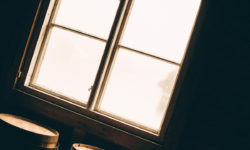 If you catch yourself thinking your home is hotter or colder than normal, your windows are probably lacking a proper sealant, which means they’re letting the air from your home escape and the air from outside to enter. Another window problem that goes hand in hand with energy efficiency is sound. If your windows aren’t properly blocking sound from entering or leaving your home, then you should consider purchasing and installing new windows. 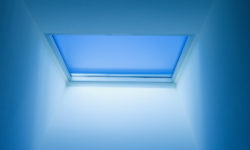 Luckily, new windows are designed with energy efficient modern technology. This means you won’t have to worry about high energy bills or unwanted sound escaping or entering your home. Let’s face it: window repairs and replacements can be expensive, especially if your windows are extremely damaged or outdated. That being said, prospective buyers often look for homes that are renovated and modern. After all, it’s not ideal to move into a new house and have to instantly worry about repairing or replacing windows among other things. That’s why you should invest in purchasing and installing new windows! In addition to new windows being an additional selling point for your home that will attract and influx of prospective buyers, but it will also add a little bit of value to your home. According to research, most homeowners have the opportunity of earning over 50% of what they additionally paid to install their new windows. But, don’t rush into purchasing new windows just because you’re selling your home. This is a great perk for people who are planning to sell their home in the foreseeable future because they have a little bit of time to enjoy their new windows themselves, as well as reap the benefits of having relatively new windows when they put their home on the market.